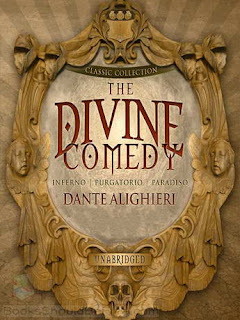 For June, our book club has decided to read Dante's 'The Divine Comedy' in it's entire three parts. One of the most important lessons of my experience in the classics has been that of translations. Oftentimes, the translation will have a profound effect on your enjoyment of the novel but it is difficult to foresee when such difficulties will exist prior to reading. I found this very striking in Beowulf - the book club seemed to be divided in opinion of the work based on translations (parenthetically, Seamus Heaney seems to be a good choice). In the case of War & Peace - the translations didn't seem to matter as much... each member enjoyed the translation they read. Since I have a compulsion with buying books, I have amassed three editions of Dante's 'The Divine Comedy', with three different translators. As such, I have decided to read one of each of the three epic poems with a different translator. I'm fascinated by Dante. Before reading 'Inferno', I had no preconceived notions of what to expect other than a fiery pit of gruesome. Dante himself walks through Hell with his friend, Virgil... who wrote 'The Aeneid' - the Roman poetical account of the sacking of Troy and the founding of Rome by Aeneas. 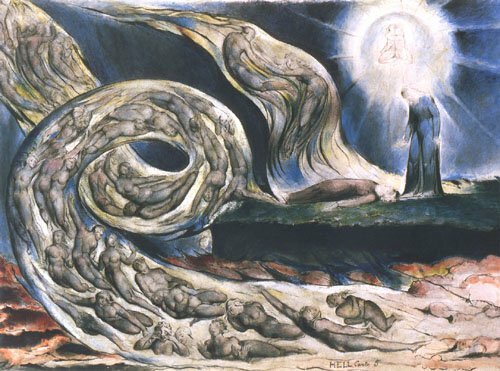 Virgil takes Dante around as his guide and they converse and point out the tormented souls in the Inferno. Dante gives Hell a very succinct structure. There are nine circles in all, but beyond that, there are distinctions set within each circle. Spirits found in hell are classified based on the evil deeds they have committed. Many of these deeds would be applicable today, such as 'violence against neighbours' but many would not be considered as important... such as 'flatterers'. Regardless, Dante has plotted distinctions between crimes and prioritizes them. For instance, he believes that 'fraud' is worse than 'violence' and he structures Hell accordingly [part of the fun in today's time is to debate the merits of such a classification]. Hell is strewn with various souls - some questionable high ranking, corrupt, officials from the church exist there as well as some of the ancient Greek warriors. Jason, whom appears in Euripides play 'Medea', is found in the 8th circle of Hell (panders, seducers, flatterers). Perhaps surprisingly, Greek hero Ulysses from The Odyssey, is also in Hell (Parenthetically, I agree with Dante that he should be due to the gruesome scene upon his return home). In the final circle of hell (9th), there exists three people: Judas, Brutus and Cassius (who was the "leading instigator in the plot to kill Julius Caesar). We also get to meet Lucifer in the 9th circle, and I was particularly interested in the frozen lake, Cocytus, where souls are imprisoned. The translation by Melville Best Anderson was not the greatest - it had a very pleasurably sounding meter and rhyme to it, but it was very difficult to digest. Despite the interesting subject, I did not really have the ravenous desire to read it as I assumed I would. I could only really read 10 pages or so at a time before I became somewhat exhausted. The illustrations by William Blake are famous, but I did not find them as beautiful as the ones in Paradise Lost. I have a tendency to prefer Gustave Dore, so I am excited to start with a different edition and hopefully enjoy the more modern translation by John Ciardi, for Purgatory.